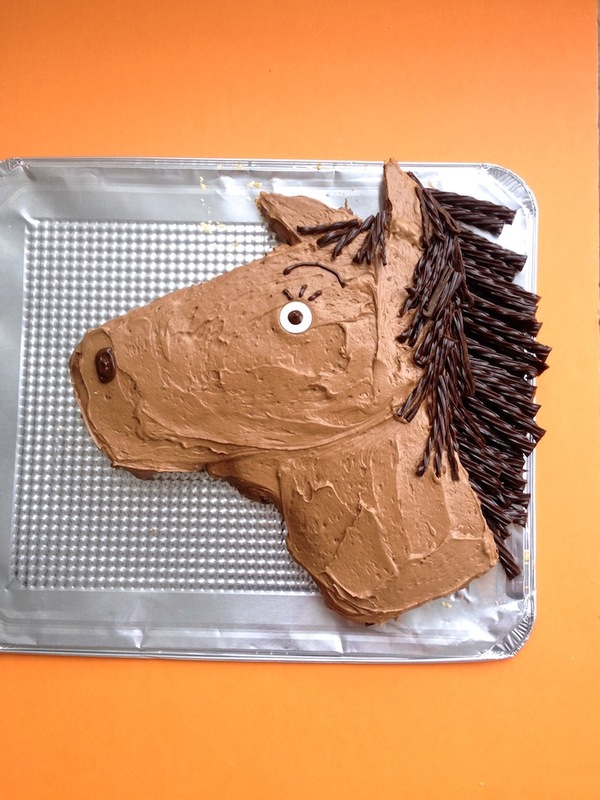 How-To Make The Most Epic Horse Cake EVER! 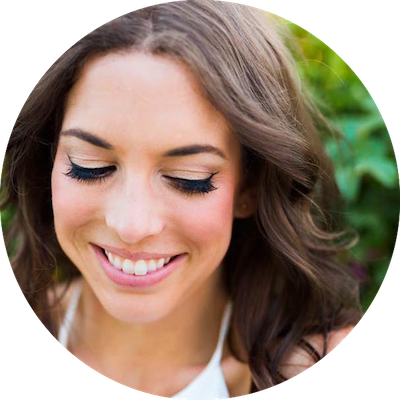 Step-By-Step Instructions, Just For You xo / Hey, EEP! Birthday cakes don't have to be so serious after you turn 20, 30, 40...heck! Even 100! 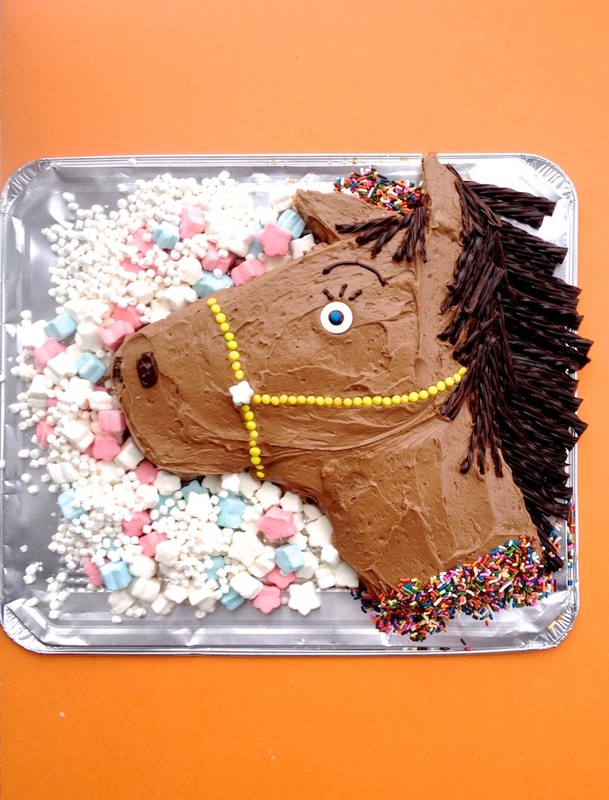 I love a sophisticated layer cake but compared to a frickin' multicolored horse!? It's not even a question which one I'd rather have my candles in. 1. 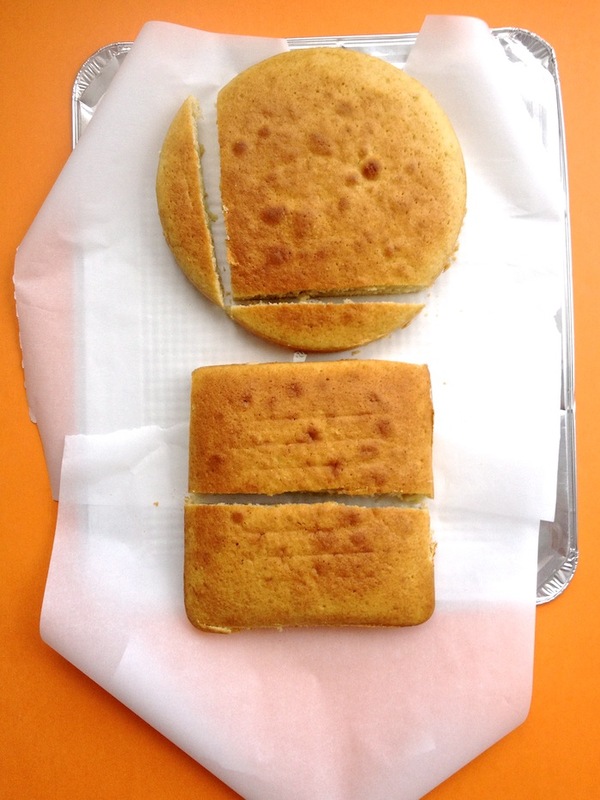 Put your round cake and your square cake on a cutting board or other work area. 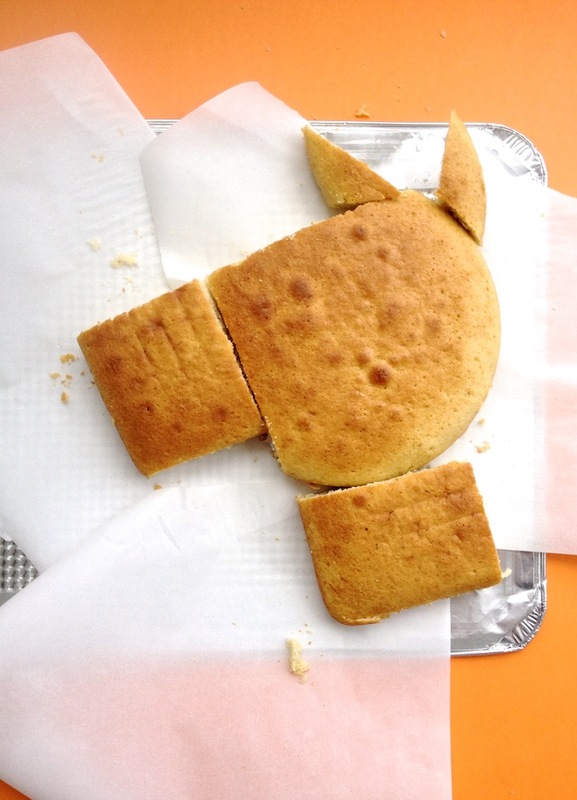 Cut two rounded edges off of your round cake (see above); trim one of the scraps into two ears. Cut the square cake in half. 2. Put the trimmed round cake on a serving platter. Arrange the two square halves (trimmed, if needed) to be the nose and neck of your horse (see above). Place the ears on top. TIP: You can squish everything together with toothpicks to make it super sturdy but I hate cutting into a cake with wood bits in it. 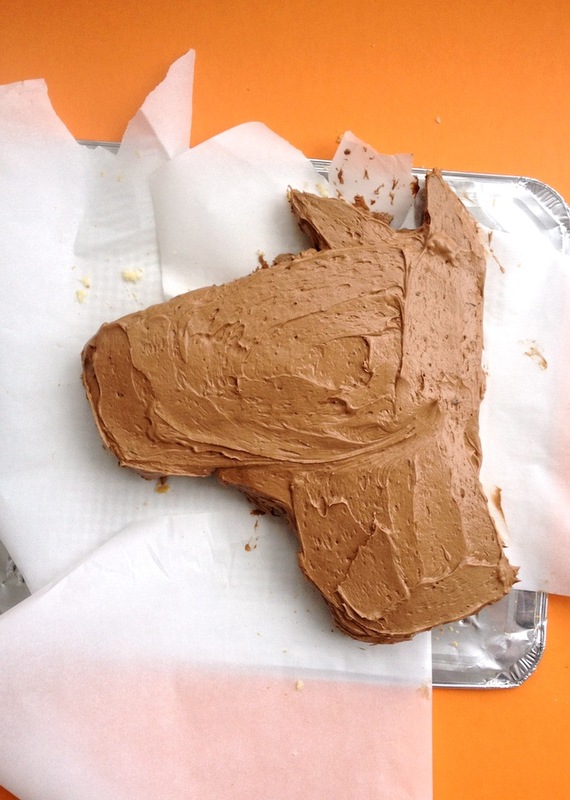 My advice, just be careful not to move your design when frosting. Frost gently! Everything will be okay. 3. Cover your cake with homemade chocolate frosting. I like to swoop the frosting where the neckline would be to make it look more realistic. TIP: Tuck strips of parchment paper under the cake before frosting for easy clean-up. When you're finished, just gently pull 'em away and throw in the trash. 4. Cut Chocolate Twizzlers into strips (fringing them at the ends, if desired). Place Twizzlers pieces along the neck and between the ears to be the mane. 5. Press the Life Savers into the frosting to be the eye. Fill the Life Savers center with melted chocolate and top with a candy dot to complete the look. 6. 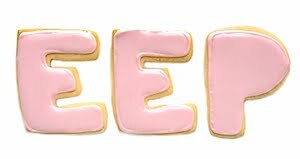 Use melted chocolate, put in a resealable plastic bag with the corner snipped, to pipe an eyebrow and eye lashes onto the horse. Pipe on two nostrils, too! 7. Use more candy dots to make the—horse lovers help me out here—face harness? The bit? The cavesson? What's that thingy called? Anyway! Use the dots for that, then press sprinkles onto the base of the neck to dress things up a bit. i love everything about this post. HAPPY BIRTHNAY!??? dying! the licorice hair looks so vintage 1970s cookbook in the best way ever. love love love!